My writing—both blogging and short story/novel writing—always slows down in the Spring. The weather is nicer, the grass needs mowing, trees and shrubs need trimming, farmer's markets are opening for business (my wife and I try to shop local and for organic fruits and vegetables as much as possible), and our two dogs plead for walks more often than usual. These are just some of the usual things which come up annually to distract me from writing. Don't get me wrong, though! I enjoy most of these activities. 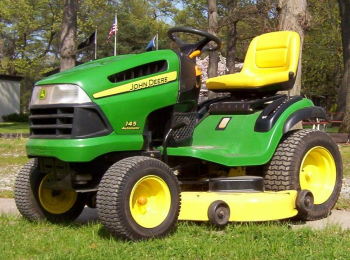 Even mowing the lawn! Life's too short to do nothing but work (and writing is most definitely work, though of the enjoyable variety). Besides, these things are expected and manageable. It's the unexpected events which lately have thrown a major wrench in my usual routine. The biggest of these is that my wife broke her leg during a mountain bike race. She's on the mend and all is well considering she had surgery and has been in a variety of splints, casts, and a boot for over two months now. Of course I've had to play caregiver for the duration, helping her with a variety of activities she couldn't easily do herself. This wound up taking away a lot of my time right when it was already at a minimum because, again, Spring is here and the grass grows like you wouldn't believe here in Texas. But, we're getting back to a more normal schedule now as my wife likely heads back to work full-time next week. That means I'll get back to more writing. Here's a few tidbits going on now or coming up along those lines. I've been working up a post on negative energy that I'm pretty excited about. Negative energy is a theme which fits into both The Alchemancer series and my Assassin Without a Name series. The latter has been building up to some bigger things involving this phenomenon. It's been fun writing about the different organizations each attempting to harness it for their own use. It plays a fairly large role in the next Alchemancer book as well, so hopefully this post when it's published will provide some nice background info and maybe some hints on where the next book is going. The Nullification Engine (The Alchemancer: Book Two) On Sale Right Now! The Nullification Engine is on sale as a Kindle Countdown Deal for 99 cents for the next day or so. Then the price goes up to $1.99 and then again to $2.99 before returning to its usual $3.99 price point. Kindle Countdown Deals are limited-time promotions where the price of a book starts at a deep discount and works its way back up to its usual, full price in increments. Readers get a good price on a book, maybe discover a new author at minimal risk, while authors gain new readers, sell some books, and make a little money. It's a win-win all around. The next short story in my Assassin Without a Name series goes to editing in a week, then it should make it out to retailers the week after that. If you're signed up to my email list, you'll get The Goddard Affair for free. This story is about 25% longer than the previous story, Night of Zealotry, putting it at around 19,000 words (76 pages). Based on some measures, this puts it in the category of a novella, which should affect pricing. That's something I'm still debating. Of course, price becomes a moot point if you're signed up for my email list since you'll get it and every Assassin story after that for free. Click-through for more details. Night of Zealotry is the 3rd Assassin Without a Name short story in the series. It is preceded by Fine Wine and Killing the Dead, both free downloads on Amazon. But wait! Before you rush off to download those gems, there's more! You can get Night of Zealotry for free, too. How, you ask? Here's how: sign-up for my mailing list and I'll send you the story when it's complete. It's that simple. What do I use my mailing list for? Good question. I'll let you know about new releases of mine when they come out, often when they're offered at a discounted price. Also, I'll send you free shorts. Not only Night of Zealotry, but probably later installments in the Assassin series, too. Don't believe me? Well, those who were signed up when the second edition of The Hall of the Wood was released last year got it for free. Also, when the second book in The Alchemancer series came out, I told subscribers when and where to get it for 99 cents (regularly $5.99). Not a bad deal. All for allowing me to send you at most 1-2 (maybe 3) emails per year. So why in the world would I want to give away free books and shorts when it costs me $$$ (covers, editing, my time) to produce them? Another good question. Because my hope is you'll like them enough to tell someone else about them. Or maybe leave a rating or review somewhere. Word of mouth is a huge, huge way for me to get more readers and, quite frankly, to cover my expenses (at minimum). It's a great help in making this writing thing viable and I really do appreciate such efforts. Sound reasonable? Then what are you waiting for? Go sign-up! Take out the target, retrieve the scroll, and avoid getting killed by the protection detail of Black Guard mercenaries. That was the job. Simple enough, or so the Assassin Without a Name thought, until he finds himself smack in the middle of three organizations all vying for possession of the item he just stole. Of the three, the worst is the Jakaree, a group of fanatical priests willing to kill to fulfill their mysterious goals. But by making the Assassin Without a Name a target, they’re about to receive a lesson in death themselves from one of the best. Sound awesome? I thought so when I wrote it. He's definitely a fun character to write about. Hope you'll join me for this and future installments. You can add Night of Zealotry to your Goodreads TBR list by going here. I sent my first short story out for submission way back in the early 90's to a very small print publication called Realms. Much to my surprise, they accepted the story. I still have the check they wrote me for $7. Fresh off this victory, I kept going with my writing, which went slowly because I was also getting close to finishing up work on my engineering degree. But, in 1994, I had another story ready to send out. It was called Witchstone. In hindsight, it was pretty bad. Nevertheless, I thought it was gold, and, still glowing from my initial acceptance, I went for the bigs, sending the story to a number of notable print publications (back then, the Internet was not what it is today; online 'zines were just getting started). Of course it got rejected across the board. 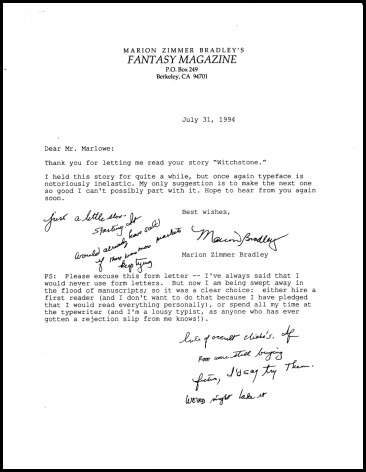 It's a form rejection letter from Marion Zimmer Bradley, who ran the print publication, Marion Zimmer Bradley's Fantasy Magazine, and whom you might know from having written a classic fantasy tale or two. Though the letter is of a form nature, Ms. Bradley took the time to write in a few personal notes. The first one reads, "Just a little slow-starting. It would already have sold if there were more markets. Keep trying." Which reads, "Lots of occult clichés. If Fate were still buying fiction, I'd say try them. Weird might like it." The comments are encouraging and supportive. Not meant to crush my spirit at all like some others who heard from her in similar fashion. 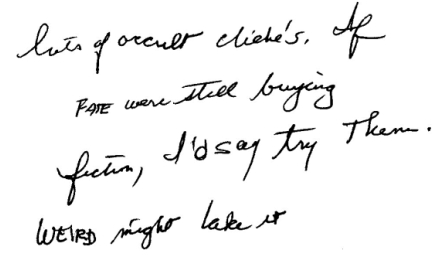 Maybe I caught her on a good day, or maybe she really did see something in my writing. I'll never know. But, of all the rejection letters I have received, this is the only one I've kept. I'm not one of those "wear your rejection slips like a badge of honor" type of people. I'm not ashamed of them at all, but they take up space and, when you get down to it, what is the point of hanging onto them other than as a record of who you've submitted what stories to (something I would now do in a spreadsheet if I still submitted to small press markets)? So why did I keep this one? Simply because of who wrote it. Plus it's a nice reminder of the early days when I was still in my twenties and ready to make my mark on the world, whether in the software industry or the world of literature. Maybe the rejection did deter me from writing a bit, because I didn't really get back into writing until recently. But the same year I received this letter, I also graduated from college and started my career as a software engineer. I remember writing some during that initial period, but I was tired of studying (working) all day, coming home, and having to continue studying (writing) all through the night. I was ready for a life and some serious downtime. So writing got pushed to the backseat and only because of the digital self-publishing phenomenon of a few years ago has it truly resurfaced. It would seem that, for me, writing for the sheer joy of it isn't enough. I need readers, too. As I approach the release of my next book, I feel like I owe Ms. Bradley some gratitude for keeping my writing spirit alive even if I did ignore it for a long time after that. So, here's to Marion Zimmer Bradley. I feel like I should go read something by her now. In fantasy, dragons are huge, and I don’t mean literally (though that’s obviously true). They’re so huge that you often don’t see them in a novel or series unless they’re the center point (Dragonlance, Pern, and many others) or at the very least part of the climatic finish (The Hobbit). Dragons in literature have been around since antiquity. The Leviathan, often thought of as a sea serpent, was first mentioned in the Hebrew Book of Job. 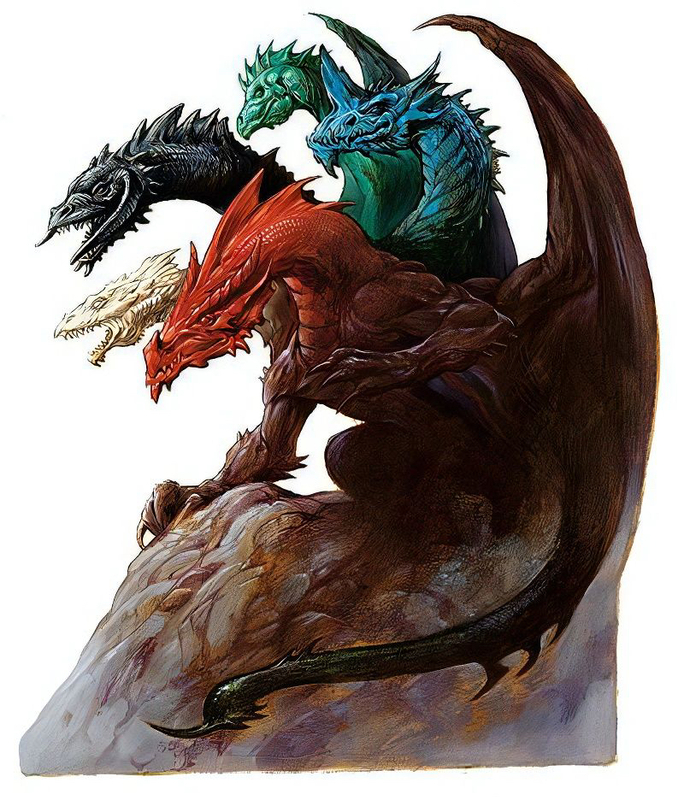 Tiamat of Babylonian myth was a many-headed dragon that Dungeons & Dragons turned into an amalgamation of their different colored dragons. Beowulf combats a dragon and defeats it (though he dies of his wounds shortly thereafter). Saint George also fights and kills a dragon in the aptly named tale, Saint George and the Dragon. In various ethnic mythos, dragons of one sort or another show their scales, whether it be European, Chinese, Indian, or others. In more recent times, dragons have made appearances or been featured in such books as the Dragonriders of Pern, the Dragonlance Chronicles, the Temeraire series, The Hobbit (of course), and many, many other novels (Robin Hobb comes to mind). Writing about dragons is not an easy task, especially if they’re right at the center of things as they often deserve. That in itself is the problem for me. They are such majestic, overwhelming entities that they simply must be the focal point. Anything less and I think an author is selling them short. Much like elves, one might argue that dragons have been “done to death”. Yet authors like Novik and Hobb continue to bring fresh perspectives and interpretations of them to readers. Dare I even attempt to follow in their footsteps? Not right now. I’m already going down a path of my own with my blending of alchemy, elemental magic, sorcery, and pseudoscience in The Alchemancer series. That doesn’t mean there aren’t dragons somewhere out there waiting for Aaron and co. to find. I can already picture in my mind the conversation Aaron would have with a dragon were he ever to encounter one! Now that would be something worth writing about. Or maybe it would just be another Eragon. I'm quite certain the world does not need another one of those. For the longest time I considered creating another web site to feature the world where I set my novels. Sometime last year I finally made this into a reality. The World of Uhl is supplemental information to go along with my books. 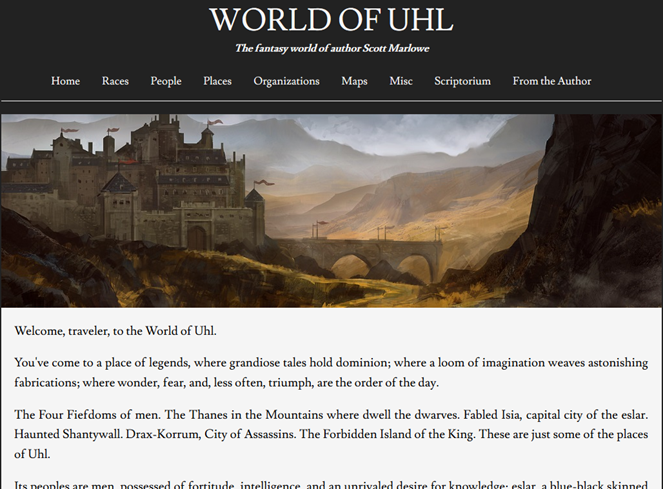 On it you'll find descriptions of the peoples, characters, and places of Uhl, along with professionally done maps and, of course, purchase information for the books themselves. Since Friday around here is about the content of my novels—namely the worldbuilding—I thought I'd start with this brief intro post before getting into the details. Moving forward, I'll be highlighting information already on the WOU site—namely the races and places listed there—but also plan to write up some essays on such topics as how magic and science relate to one another in my world, for example. This melding only increases throughout The Alchemancer series, so it's important to lay some groundwork. I should have my hands on a world map soon from my illustrator. I'll update you all when I get it and once the kinks are worked out. You can pretty much pronounce it however you want. But the way I intended it to be pronounced is 'ool', as in 'bool' (which is shorthand for 'boolean' in case you were wondering) without the 'b'. Others have pronounced it 'ul'. Either works as far as I'm concerned, so use whichever you like.